Kanye West Is Bringing Yeezy To Asia And We Are Freaking Out! The eccentric rapper-turned-designer is bringing Yeezy to Asia, which means there is going to be a lot many repli-Kims around! There is some good news for all those hawk-eyed Yeezy fans. There are some newer developments in Kanye West's fashion line Yeezy Supply and if the grapevine is to be believed, the eccentric designer is bringing his brand of cool Yeezy to Asia. As the oft-accurate unofficial sources of all things Kanye and his creative productions, TeamKanyeDaily and Yeezy Mafia recently reported, Yeezy is adding a dedicated website to cater to his Asian expansion. This means that Yeezy Supply would soon open warehouses, especially in Singapore and the Philippines. The move is allegedly "to reduce expensive shipping and customs fees overseas." 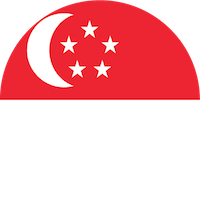 The two websites that seem to be under works at the moment are one for the Philippines (yeezysupply.ph) and one for Singapore (yeezysupply.sg). But if you look them up, both of them will direct you to asia.yeezysupply.com. In fact, even the Asia site is not open for business, yet. It only allows "interested parties" to leave their emails for updates. This also means that the company hasn't yet disclosed details about their launch, year or the products that they plan to bring out to the Asian markets. There is a lot of hush-hush at the moment! But West has been dropping hints through his site official Yeezy Supply website, and his Twitter account, where he shared his recent collection (styled by him on Kim). How did Kanye West become Yeezy? Now if you are an OG West follower, you probably know about his foray into fashion and how he became Yeezy. But for all those who may have missed his interesting and might we add dramatic rise in the fashion world, Kanye's journey began in 2011. He launched his infamous first eponymous line in Paris at the time. But the show's self-inflicted over-serious and pretentious nature didn't win him many fans. The next year wasn't rosy either. We all saw the Madison Square Garden extravaganza. This was followed by the Roosevelt Island fiasco in 2016. But by 2017, Yeezy seemed to have come into his own. And this year his athleisure-inspired collection was proof that he found his comfort zone. And interestingly, this year he also tried a new marketing trick that worked. Pictures of Kim Kardashian West clones were shot as though taken by paparazzi. He had finally caught the attention of critics and fans alike. Now we all know that Kim's style makeover has been courtesy Kanye, so it was only apt he used his wife as the muse, model and inspiration for his collection, in a way. And just to give you a taste of his latest collection and what might potentially come to stores in Singapore and Philippines, let's take you through some of the pieces. 2. Paris Hilton does a Kim!